Easily measure customer satisfaction with these helpful templates. Ever had a pressing question that you’d love to ask over a loudspeaker to a room full of people? While that might sound (literally) like a good idea, it’s not the most effective way of gathering helpful feedback. For purposes such as this, surveys are your best bet. Surveys help you gather focused insights from masses of people, whether those people are customers, employees, or an entire market. When you ask a question or opinion of one person, it’s hard to trust them, right? Ask a large group, though, and the answers become clearer and more applicable across the board. For a survey to be effective in both gathering and aggregating data, it must be created and distributed effectively. 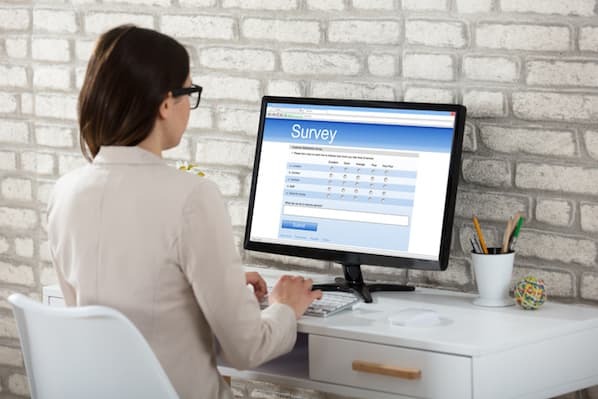 In this article, we’ll cover the basics of a survey, popular types of surveys, some survey creation best practices, and a few survey examples to get you started. Keep reading to learn more, or use the chapter links below to jump to a specific section. A survey is a research method where you gather information, data, and feedback through a series of targeted questions. Most surveys are conducted with the intention of making assumptions about a larger population. Whether you want to publish a report full of hard data, gather feedback from an event, or better understand how your customers feel about your product, surveys can help you get the job done. What is the goal of your survey? What answers are you looking for? Let’s expand on goals below. Think of building a survey like a construction project. You wouldn’t start haphazardly knocking down walls or pouring concrete right away, would you? No, you’d step back, take a beat, and create a thorough blueprint of your end goal. Like with other business initiatives, goals set a clear directive so you can tailor your questions to get the answers you need. With surveys, you have to take it one step farther. It isn’t enough to say the goal of your survey is to learn what prospects think about your product demo. No, a good survey goal also includes a reaction to your goal. See how this goal not only includes a more specific objective but also states how I can use the results to influence an initiative, campaign, or process? Setting goals like this provide a clear roadmap for the survey creation, distribution, and collection process. From collecting feedback on new hire training to measuring how many people in your industry use Facebook, there are literally thousands of purposes for surveys. But as a marketer, salesperson, or business owner, which types of surveys would be most helpful? Here are a few reasons why you might choose to run a survey. Ah, the ever-elusive mind of the customer. If only we could know what they’re thinking, right? Well, surveys can help you get one step closer to understanding what they think. Companies run customer feedback surveys to better understand how a consumer discovered their product, suggestions for improvements to products or services, or how satisfactory the customer support experience is. Surveys with questions like “How easy was it to solve your problem with ________?” or “How did you discover our products?” are probably evaluating customer feedback. You can use customer feedback surveys to drive growth. 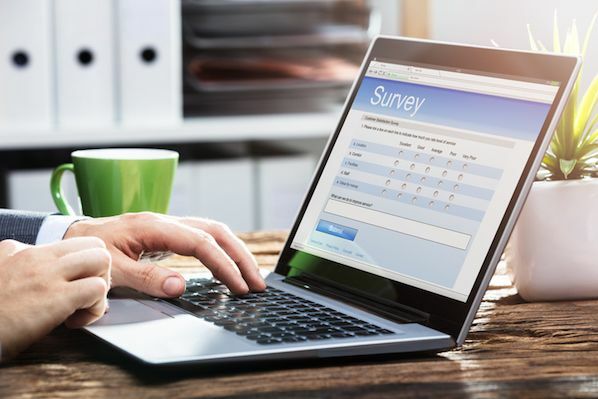 These types of surveys gather data that can influence marketing campaigns, customer service processes, product development, and website user experience. How many of your customers love your product or service enough to brag about it to their friends? That’s where the Net Promoter Score (NPS) comes in handy, and you can establish it by surveying your customers about their opinion of your product and brand. Surveys with questions like “How likely are you to recommend our product to a friend or colleague?” or “What does this company do really well?” are probably measuring for NPS. NPS can also be used to measure how likely your employees are to refer your company as a great place to work. With word-of-mouth marketing directly responsible for 19% of purchase decisions (and almost 30% of all technology purchases), your customers are by far your best marketers. Capturing accurate data around who in your circle is marketing for you is a great way to measure your potential reach and exposure. To reach new customers and prospects, you must have a solid understanding of trends and happenings in the industry. Running surveys outside of your own database also pulls you outside your company bubble, giving you a true and accurate understanding of the marketplace as a whole. Surveys with questions like “What problems would motivate you to purchase _______?” or “What is your typical budget for _______?” are probably looking for data in a specific marketplace or industry. Market research surveys educate your marketers and salespeople about the behaviors, preferences, challenges, and purchase decisions of a specific audience. Lastly, market research surveys allow you to expand your authority on a subject matter, become a go-to resource for industry data, and generate backlinks from high authority sites. In fact, it’s been proven that original research increases website traffic as well as social shares. Take HubSpot’s State of Inbound report as an example. This report is a go-to resource for marketing and sales trend data. Featuring insights on sales strategy, marketing challenges, technology trends, and more, the State of Inbound report provides benchmarks to help companies evaluate their own performance, identifies overarching trends in how companies market and sell, and reveals insights on changing consumer preferences. Now that we’ve covered some common survey purposes and best practices for survey creation, let’s dive into the mechanics of constructing and conducting your survey. Before putting a pen to paper (or cursor to document), start with some research on whether or not a similar survey exists, such as a survey example or survey template. Lots of companies and organizations run surveys of similar themes, and finding a sample survey can help save precious time and energy. If you’re taking the DIY route for your survey or simply need inspiration when building your survey within a tool (we cover our favorites in the next section), we’ve compiled a short list of common samples and templates. These should help jumpstart your survey creation process. The HubSpot Research Team uses QuestionPro to host our own surveys. This leading tool offers over 300 sample surveys and questionnaires written by expert researchers. Whether you’re looking for example questions or inspiration for your survey design, QuestionPro is a good place to start. Check out QuestionPro’s survey templates here. SurveyMonkey is an authority in the survey creation and design space. Their experts have written up over 200 templates for their most popular surveys. Comb through these sample surveys and get started building your own in minutes. Check out SurveyMonkey’s survey templates here. SurveyGizmo offers free and paid survey creation plans. They also offer a library bursting with free sample survey templates. Simply add your company’s branding or tweak a few questions, and you’re ready to go. Check out SurveyGizmo’s survey templates here. Now, what if you’ve already chosen to build your own survey and you need program-specific templates? We’ve got those for you, too. Microsoft Word is a great resource and word processor tool. But building stuff from scratch in Word can be a bulky process. Here are a few Word survey templates to get you started. Check out Microsoft Office’s Word survey templates here, and Hloom’s templates here. Microsoft Excel makes data management and analysis simple, so it might make sense for your team to create and host your survey within the platform to begin with. Here are a few Excel survey templates to jumpstart that process. Check out Microsoft Office’s Excel templates here. Many organizations choose to distribute their survey via email. Whether you’re creating your own survey or using a tool to do so, email is definitely an option, especially if you’re sampling your customer database. While you can’t embed an entire survey within an email (so we can’t provide you with any email survey templates), there are some tactics you can employ when inviting your recipients to take your survey. Personalize the invitation. Customized marketing, including content and email, has been shown to boost engagement and clickthrough. 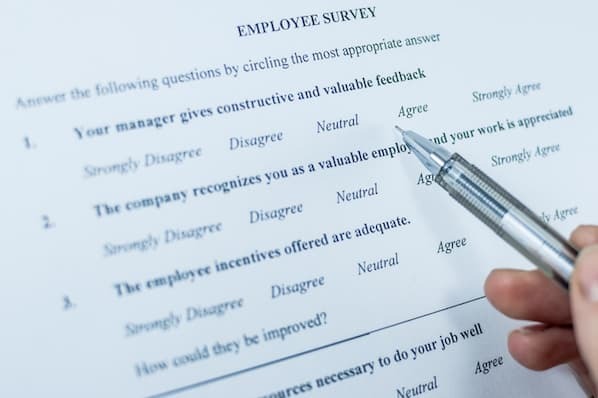 Personalizing your survey invitation can help your recipients feel recognized and valued, thus further encouraging them to answer your questions. State your email intent or purpose. Don’t keep your email list in the dark. In your survey invitation, state exactly why you’re reaching out to them and how they can help you reach your goal. Provide an incentive. Your recipients’ opinions matter to you. Let them know how you feel by providing an incentive in exchange for their survey response. Whether in the form of a discount or exclusive perk, honest and thorough answers are well worth a small gift. Display one question from the survey. Give your audience a taste of what kind of survey they might be answering. That way, they can choose if they’d like to participate before entering (and possibly leaving) your survey. A note from the HubSpot Research team: While email marketing is alive and well, don’t abuse your list for the sake of survey responses. Because your subscribers likely signed up for something other than a survey, respect their wishes and reserve your list for only the most pressing issues. Choosing the right survey creation software that best equips your team and goals can be intimidating, especially given the sheer number of available tools. If you’re looking for help with survey design, copy, organization, and distribution, survey creation software is a great solution. We’ve created this survey creation software roundup of some of HubSpot’s favorite tools — featuring some we use and some with which we integrate — to help you make the best decision for your company. SurveyMonkey is one of the best free survey creation sites. The tool is easy to use and provides plenty of pre-written sample surveys and questions. It even allows you to check your data up against industry averages to establish benchmarks and make sense of your responses. SurveyMonkey is a great option for those just starting out and looking to scale their survey needs. Pricing: Free for up to 100 responses and 10 questions per survey. Plan pricing varies from $31 per month to $99 per month, depending on survey features, branding, and analysis. All paid plans offer unlimited questions, surveys, and responses. Typeform generates gorgeous surveys that are easy to both create and answer. With a tagline reading “turn data collection into an experience,” Typeform promotes a friendlier experience than most, allowing brands to create a survey that’s seamless from their overall brand standards. Pricing: Free for up to 100 responses and 10 form fields per survey. At $30 per month, the Pro plan allows for custom thank-you screens, payment fields, and more. The Pro+ plan is $75 per month and offers custom branding, redirects, and more. Due to its versatility and affordability, Google Forms is used by organizations of all kinds (as is the entire G Suite). Simply create a Google account and access the survey templates and questions available in the Google Forms library. The tool makes it easy to create a Google Form survey from scratch, too. Survicate is a multi-faceted survey software, offering feedback tools that collect everything from website optimization and customer satisfaction surveys to complex customer insight processes. Survicate's templated surveys are also integrate with numerous marketing applications. Pricing: Free for up to 50 responses per month, three users, and one integration. Get 500 extra responses for $49 per month. At $159 per month, the Professional plan allows for full customization and branding, full-stack integration, and ten users. The Ultimate plan is $549 per month and offers workspaces, unlimited users, and more. SurveyGizmo is a data collection and insights platform that helps organizations make better decisions across the board. From feedback to assessment to research, SurveyGizmo provides targeted solutions to its customers — who range from stakeholders to business owners to market researchers. SurveyGizmo is a good choice for larger companies looking to integrate surveys into most of their initiatives and processes. Pricing: Custom pricing based on size of organization and industry. QuestionPro is a free survey creation site that we use here at HubSpot. It offers an online survey platform, responsive survey design, and niche audience samples. The tool also offers sample survey templates and standard question types to make the survey building process easier. Pricing: Free for up to 100 responses and 10 questions per survey. The Pro plan, at $15 per month, allows for unlimited questions and 1,000 responses per month. The Corporate plan is $75 per month and offers unlimited features as well as bonus integrations and analysis. AskNicely is a feedback application that works primarily with the Net Promoter Score metric. The tool offers one-touch surveys that specifically inquire about a customer’s experience and likelihood to recommend a certain product or company. 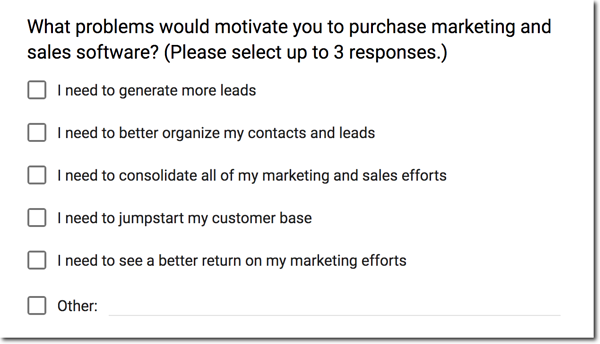 You can add follow-up questions depending on a respondent’s answer, trigger surveys to release after specific events, and easily integrate your contacts with your CRM software (attn: HubSpot customers!). Pricing: Free trial available for a limited time. Professional plans start at $299 per month, although some early-stage companies might qualify for $49 per month with an application. Custom plans are also available. Wootric is a customer feedback tool that helps you capture metrics like Net Promoter Score, Customer Satisfaction indicator (CSAT), and Customer Effort Score (CES). It also educates you on how to use these metrics to monitor customer sentiment, understand the business impact, and inform decisions that boost revenue and retention. Pricing: Free for one product or brand, one channel, and up to 25,000 active users. The Essential plan is $89/month, and the Pro plan is $224/month. Enterprise-level businesses can build customized plans. With countless templates, samples, and tools, survey creation is an initiative every organization should add to their to-do list. Whether you’re collecting consumer data, establishing a new Net Promoter Score for your brand, or getting a feel for industry trends and changes, surveys can help you gather accurate and honest feedback from your audience. And this feedback is the key to fulfilling the goals of your company and the expectations your customers.